In 2008, Kevin W. Tung founded and became Chief Operating Officer of Image Space Media, an In-Image advertising company based in New York City.The company was successfully acquired by Vibrant Media in 2012.With the acquisition, he became VP of Business Development for Vibrant Media, the leaders in alternative contextual ad products. Prior to Image Space Media, Tung teamed with art investors and created two PE funds to invest in art as an asset class and became a managing partner for Chinese Contemporary Art Fund I & II, L.P.Tung began his career as an investment banker at Robertson Stephens and Bank of America Securities. He was a graduate from Columbia University with a degree in Industrial Engineering. Since 2010, he has been an active angel investor. In 2010, he invested in A Bit Lucky Games (Acquired by Zynga). In 2014, he invested in Healthcare.com (HealthCare, Inc.) a meta-search engine for health insurance needs. That same year, he invested in Keaton Row, the first online person-to-person sales channel that pairs clients with their preferred stylists. His most recent investment is in JackPocket, a mobile app that allows users to buy lottery tickets via their smart phones. 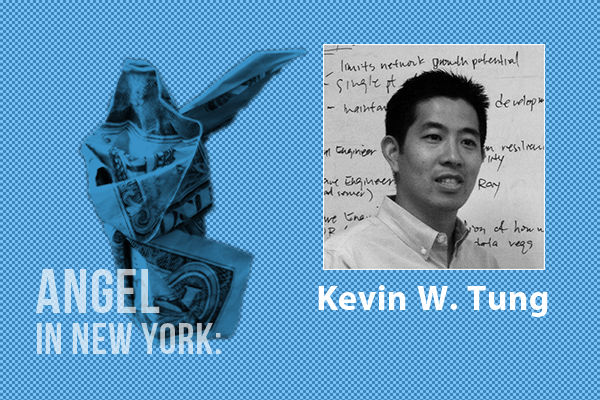 Tung is an active mentor in the Columbia University Entrepreneurship program, and continues to make investments in various startups. Tung was very much bitten by the entrepreneurial bug and is currently working on a new venture, the details of which he plans on announcing very soon. Tung is also the creator of the highly addictive mobile iOS game, Donuts in Space. Mobile, social gaming, financial technology, and in-image advertising. Next What is Wrong With Customer Experience Strategy?